Gaslighting. What it is, how you can spot it - and how you can break freeHe's the charmer - the witty, confident, but overly controlling date. She's the woman on your team who always manages to take credit for your good work. He's the neighbour who swears you've been putting your rubbish into his bins, or the politician who can never admit to a mistake. 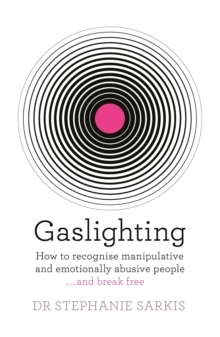 Gaslighters are master controllers and manipulators, often challenging your very sense of reality. Whether it's a spouse, parent, co-worker, or friend, gaslighters distort the truth - by lying, withholding, triangulation, and more - making their victims question their own reality and sanity. 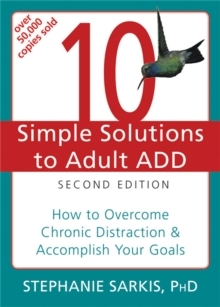 Dr Stephanie Sarkis delves into this hidden manipulation technique, covering gaslighting in every life scenario, sharing: * Why gaslighters seem so 'normal' at first * Warning signs and examples * Gaslighter 'red flags' on a first date * Practical strategies for coping * How to co-parent with a gaslighter * How to protect yourself from a gaslighter at work * How to walk away and rebuild your life With clear-eyed wisdom and empathy, Dr Sarkis not only helps you determine if you are being victimized by a gaslighter - she gives you the tools to break free and heal.